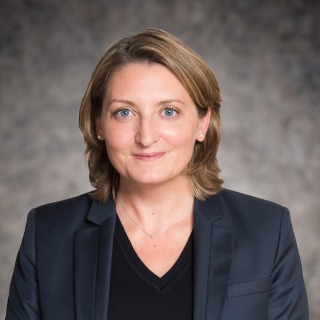 Anne Wolff joined the employment group at Hughes Hubbard & Reed's Paris office in February 2006 where she assists French and foreign companies and groups with the day-to-day management of employment issues. Her clients are involved in a variety of areas, including the pharmaceuticals, marine transportation, banking sectors, and more generally, the service sector, and also includes professional bodies and associations in the social economy sector. Anne has specific expertise in assisting companies during the start-up phase and during any restructuring and reorganization or transfer of activity that may become necessary. She helps companies with the process of negotiating and informing/consulting the staff representatives, and with reducing the workforce, and participates in drafting and implementing social plans, voluntary redundancy plans and strategic workforce planning. She also assists with drafting employment contracts, organizing and adapting working time measures, managing disciplinary issues and terminating employment contracts. In terms of collective employment law, Anne participates in the negotiation and amendment of collective company agreements and statutes, ensuring compliance with corporate obligations relating to the workforce, setting up and managing staff representative bodies at French and European level, trade union organizations and the Labor Administration.